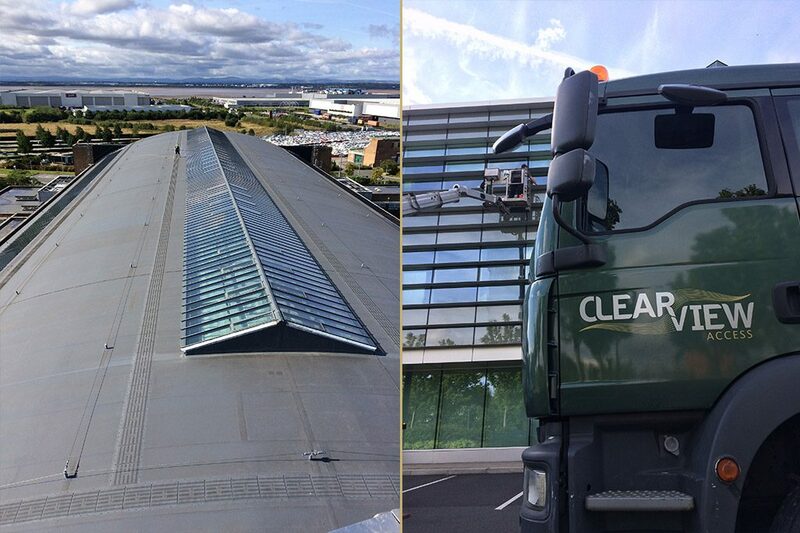 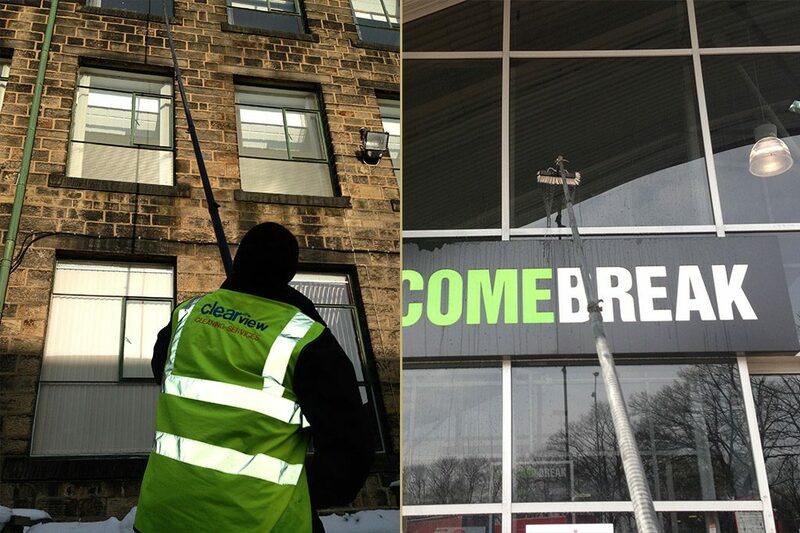 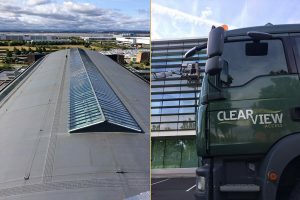 Originally founded as a high level window cleaning service, Clear view Access specialises in all aspects of commercial window cleaning and we pride ourselves in being able to reach any glazing, regardless of its location. 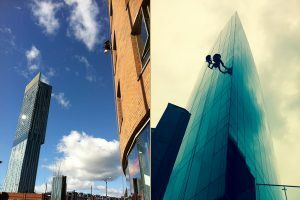 Should you need any advice or assistance in relation to your existing window cleaning strategy please feel free to contact us. For any new build development, early involvement is essential and strongly advised to ensure the most practical and cost effective system is built into the design. 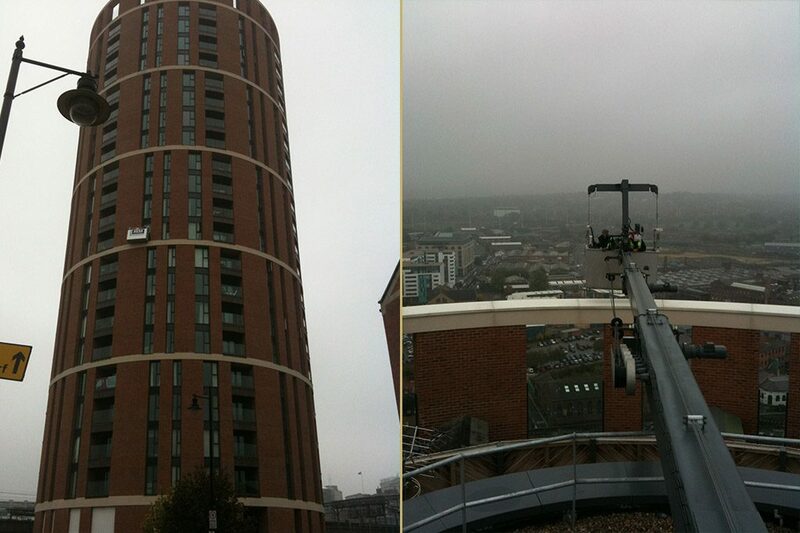 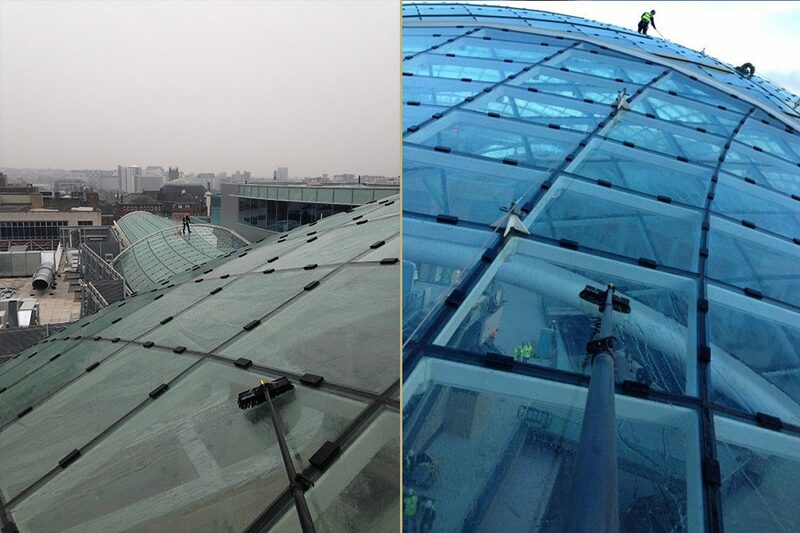 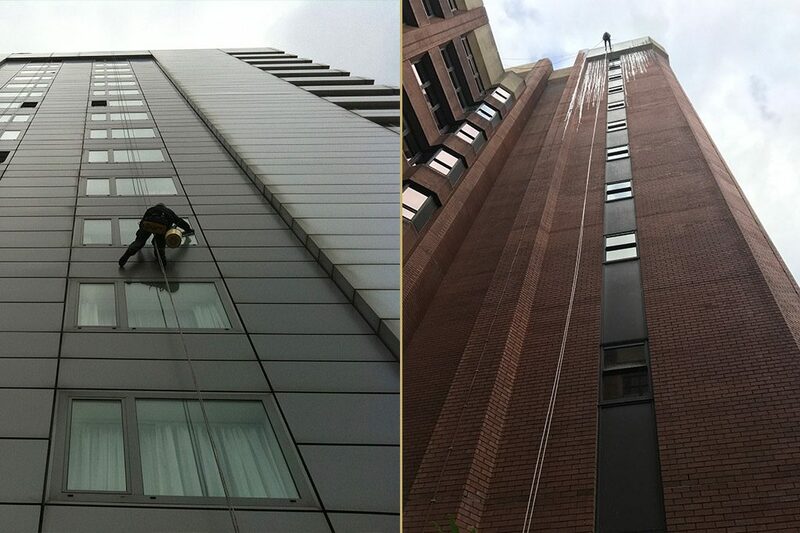 Rope access for window cleaning is one of the most cost effective access solutions available. 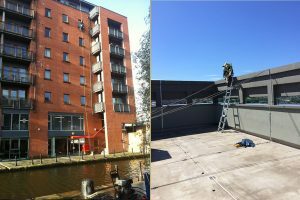 In fact industrial rope access boasts the best safety statistics within the access industry in the UK. 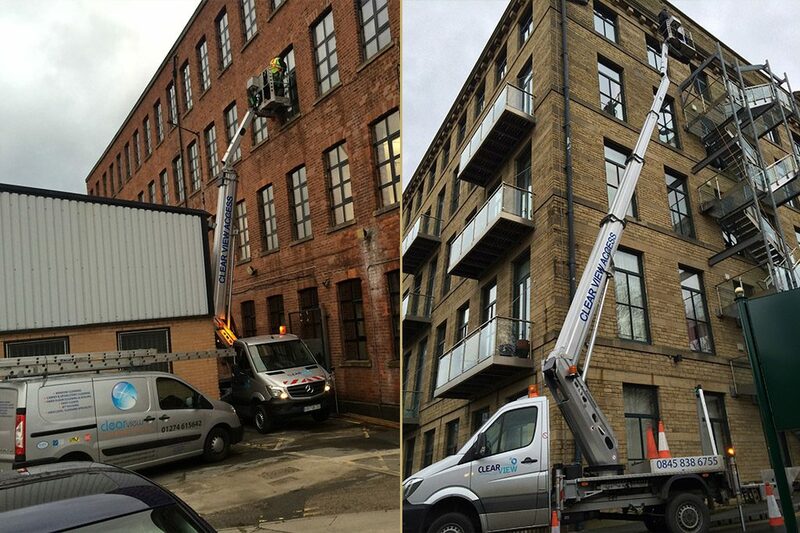 We constantly monitor and update our safety systems to ensure that we adhere to the latest HSE Directives. Our rope access team are fully trained to IRATA and TAG standards. 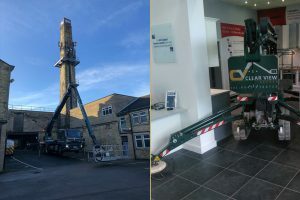 Our operatives are trained and qualified to operate our extensive range of access platforms, from specialist compact machines(which fit through a single doorway), to large truck mounted access platforms. 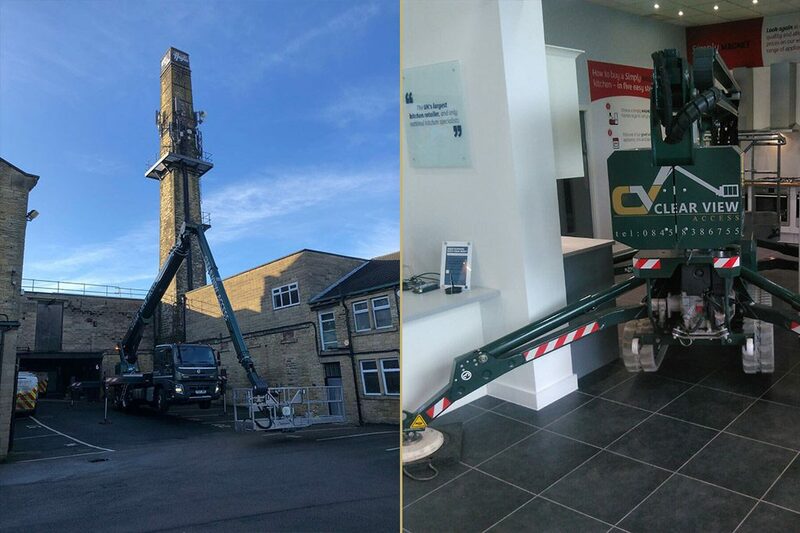 We have invested heavily in this area and own and operate some of the latest truck mounted access platforms available in the UK. 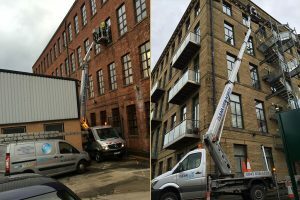 Our water fed pole cleaning systems use Ionic water purification technology which utilises Reverse Osmosis and De-mineralising Resin in order to produce 100% pure water. 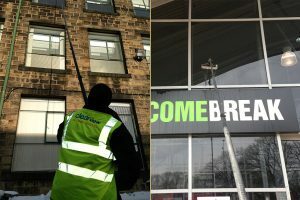 Pure water is extremely effective for cleaning windows, largely because the aggressive strength of pure water means that you do not need to use additional cleaning detergents on the glazing. 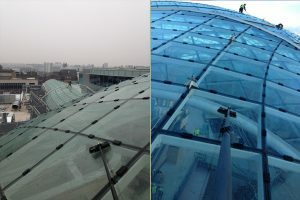 Therefore saving cost of consumables plus it is environmentally friendly with no chemicals are used. 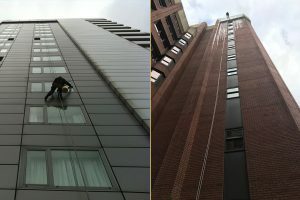 This type of window cleaning is by far the safest and most cost effective method of window cleaning as our operatives can work from the safety of ground level. 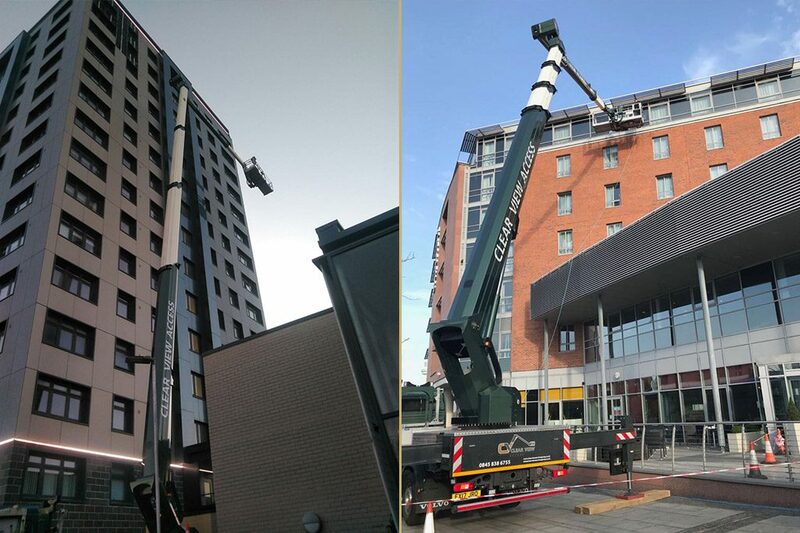 For optimum results, Clear view Access recommends that Water Fed Pole Systems are most effective for up to five storeys. 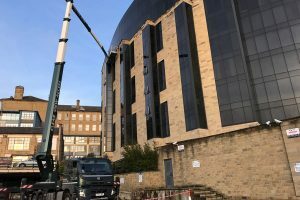 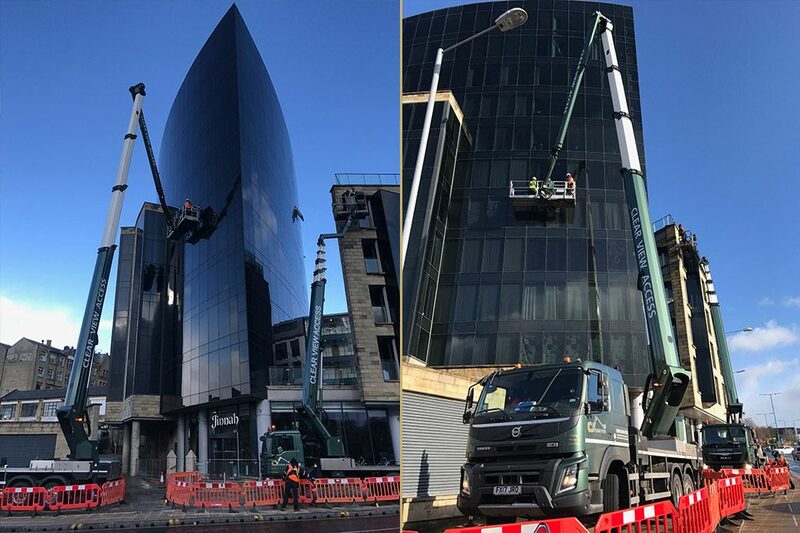 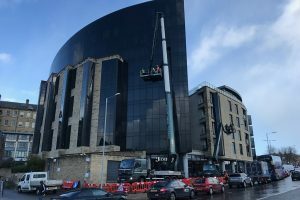 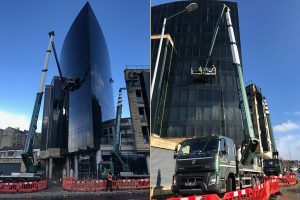 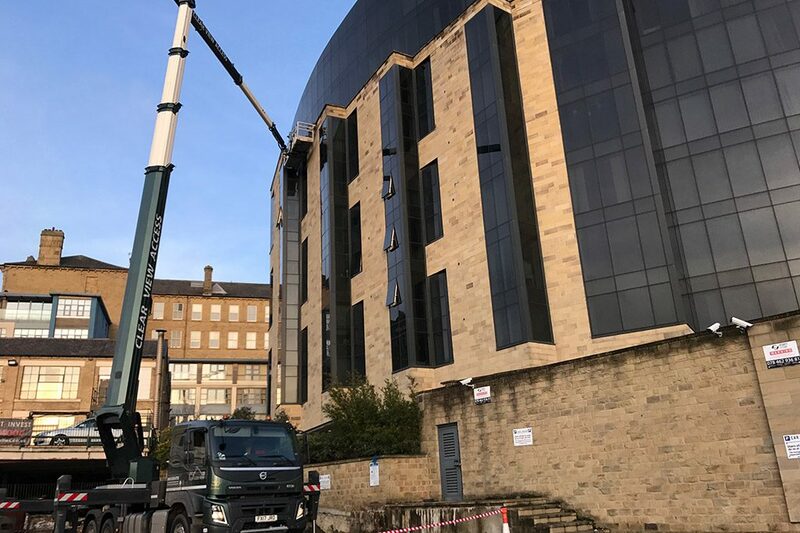 Within our specialist window cleaning team we have a number of operatives who are fully trained and have extensive experience in the use of various types of cradle systems. The complexity, height and scale of a building facade combined with the duration and extent of work, often determines that suspended cradle access equipment is the safest means of access. 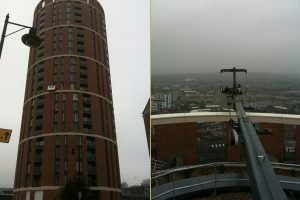 Many of the UK’s larger modern buildings now have cradle systems fitted as part of the building structure. 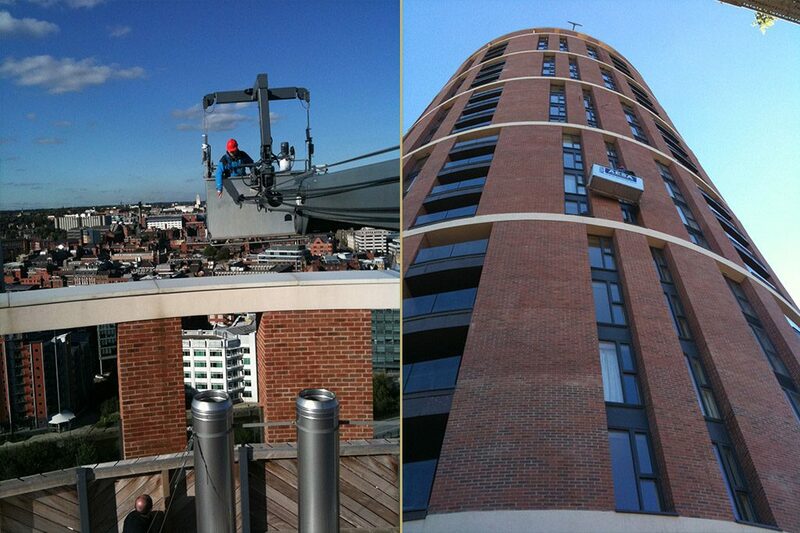 We currently use cradles on a range of sites and we can also arrange the annual testing regimes.